New York - On the 39th anniversary of the Green March, King Mohammed VI delivered a landmark speech that will be remembered for years to come. The speech both ended Morocco’s passivity and inertia in dealing with “Western Sahara” conflict and set the tone for Moroccan diplomacy in the coming years. 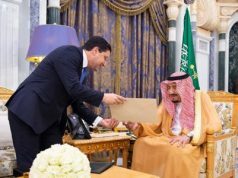 New York – On the 39th anniversary of the Green March, King Mohammed VI delivered a landmark speech that will be remembered for years to come. 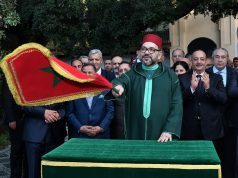 The speech both ended Morocco’s passivity and inertia in dealing with “Western Sahara” conflict and set the tone for Moroccan diplomacy in the coming years. 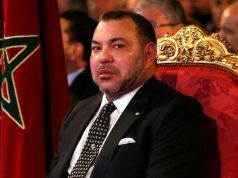 Unlike his speeches in previous years, the Moroccan monarch was strong in his assessment of the current situation and his defense of the Moroccan position regarding the non-negotiability of its sovereignty over the disputed territory. “The Sahara is not an issue for Saharan people only. The Sahara is the cause of all Moroccans. As I said in an earlier speech: the Sahara is a crucial, existential issue, not just a question about borders,” the king emphasized. “Morocco will remain in its Sahara, and the Sahara will remain part of Morocco, until the end of time,” he added. 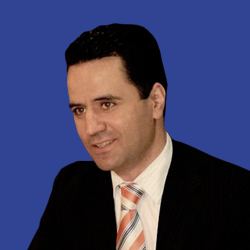 The speech comes at a moment when the conflict is at a crossroads, due to the absence of any progress in negotiations, which began in 2007, the UN’s failure to bridge the gap between the conflicting parties and its inability find a middle ground that would help the parties reach a political and mutually acceptable solution. “It is a fact that what is produced in the Sahara is not even enough to meet the basic needs of its population. Let me say this, in all sincerity: Moroccans have borne the cost of developing the southern provinces. They have paid out of their own pockets and given from the earnings intended for their children so that their brothers in the south may lead a dignified life as humans,” the King underscored. King Mohamed VI’s tone also demonstrates Morocco’s frustration over the UN’s lack of determination to achieve progress toward reaching a long lasting and mutually acceptable solution to the conflict, in line with the Security Council resolution 1754 (2007). For the past two decades, the UN and the international community have seemed content with the status quo, and little, if any, action has been taken to work toward an end to the festering conflict. The speech also serves as a reminder to the UN that any deviation from the core mandate of the United Nations Mission for the Referendum in the Western Sahara (MINURSO) would not be accepted by Morocco and could jeopardize the UN’s role in the conflict. “No to any attempt to reconsider the principles and criteria of the negotiation process, or any attempt to revise and expand MINURSO’s mandate to include such matters as the supervision of the human rights situation,” he emphasized. 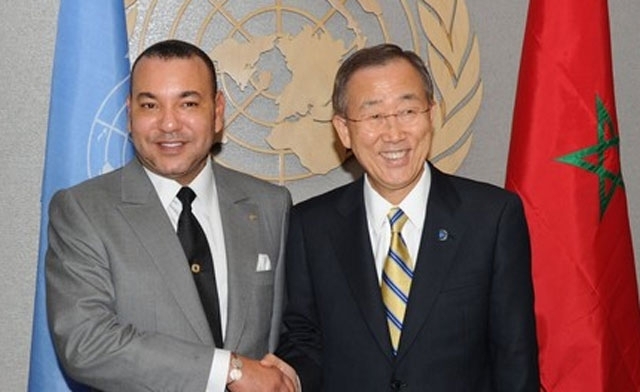 It is not yet certain whether or not Morocco’s new firm stance will resonate with UN officials. But it is clear that the UN has reached a tipping point in its handling of the conflict. More than 23 years after Morocco and the Polisario Front signed their ceasefire agreement, the conflict has reached an impasse and the international community is still struggling to put an end to it. What prevents the United Nations from finding a political settlement to the conflict is not a lack of options, but rather its tendency of immobility. In a normal situation, when an option that has been tried for years does not yield the expected result, it would be replaced by a more realistic option. Yet this is not the case at the United Nations, an international organization crippled by the conflicting ideological orientations of its member states. While the world has evolved and started a new era and mentalities have changed since the 1960’s, the UN still views the world from the same prism as it did then. Instead of looking for alternatives that could save face for every conflicting party and preserve everyone’s interests, the UN still insists in considering the concept that self-determination necessarily leads to the independence of a separatist entity. If the UN were to have a constructive role in the “Western Sahara” conflict, it is high time that it reconsidered its approach to the issue. When dealing with the conflict, it has to depart from its tendency to be influenced by the reports of some international non-governmental organization, most of which advocate the territory’s independence. While the views and recommendations of these NGO’s are to be taking into consideration, they shouldn’t serve as the only reference on which the UN bases all its assessments and approaches to the issue. If the world were to allow every minority the right to self-determination, we would witness an unprecedented balkanization of many regions in the world, and the UN membership could dramatically increase to over 250 member states. In line with its charter, the role of the UN is to maintain international peace and security. Therefore, it should strive to preserve stability and peace in every corner of the world, and steer away from any measure that could sow the seeds of conflict and instability. To achieve this goal, the UN has to evolve and adapt to the mindset of the 21st century and its ever-changing geopolitical situation. One can no longer view the world using the same approach from six decades ago. In the same way as the UN evolved its stance on women’s rights and gender equality, it has to evolve its stance on the concept of self-determination. At a time when the concept of self-determination was popular, few would have ever imagined that women would have freed themselves from the discrimination they suffered, including in Western countries. Moreover, at that time concepts such gender equality and equality between white and black people in countries such as the United States were not as widely accepted and defended as they are today. The same people who advocated the right to self-determination in the late 1950’s and early 1960’s might have been opposed to gender equality and the equality of all human ethnicities. It was not until after the 1963 civil rights movement in the US and the 1968 women’s rights movements across Western countries that these concepts made a breakthrough at the UN, thus becoming an integral part of the UN agenda in the following decades. While the UN has evolved in this regard and adapted to changing social realities, when it comes to conflict resolution, it seems to be crippled by its antiquated and obsolete approach to the concept of self-determination. Rather than looking at the past and receiving guidance from some NGOs or movie stars such as Spanish actor Javier Bardem, the UN should focus on the analyses of academics and scholars whose deep knowledge of the intricacies of the conflict could help pave the way to a settlement of the conflict. However, the UN seems to be out of touch with academic literature on the concept of self-determination. A number of scholars have asserted that one of the main hindrances preventing the settlement of the conflict is the UN’s exclusive fixation on the concept of self-determination that leads to the independence of the Sahrawis. In its 2007 report on the conflict and the UN negotiations process, the International Crisis Group gave a sober assessment of the UN’s inability to break the deadlock and play a meaningful role in finding a settlement to the conflict. The UN has the moral and political responsibility to find a creative solution that would preserve the interests of both Morocco and the Sahrawi population, thus paving the way towards reaching a political solution. To do so, it should abstain from ignoring Morocco’s strategic interests and historical rights in the territory and giving priority to the full independence of the Sahrawis. 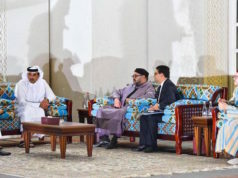 As long as it holds to this narrow approach, there will be no settlement, and the stalemate maybe perpetuated for decades, to the detriment of stability and development in the region. The UN ought to fully play its role as a neutral mediator in the conflict and take the interests of every party into consideration. A neutral mediator doesn’t expect one party to make further concessions, while the other party holds on to its position and shows no desire to compromise. As a sign of its willingness to move ahead with the negotiation process and come to a final solution, Morocco presented an autonomy plan that could form the basis for achieving this goal, thus allowing the Sahrawi population self-rule within the framework of Moroccan sovereignty. The said autonomy plan has been hailed by influential countries, including the permanent members of the Security Council, as a “serious” and “realistic” approach that could pave the way towards a settlement. 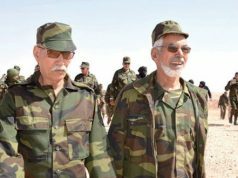 But even though Morocco has made this concession, Polisario, and Algeria, its main backer, still insist that the only way forward is through a referendum. 23 years after the ceasefire, the time has come for the UN to make an assessment of its role in the conflict and determine the reasons for the perpetuation of the stalemate. Without an assessment, the same scenario of inertia will continue in the coming years with the same monotonous briefings of the UN Secretary General’s personal envoy to the Western Sahara and the same useless meetings. It is time the UN took Morocco’s concerns and interests into consideration and dealt with the conflict in a realistic and responsible way. Any departure from realism or tendency to overlook the geopolitical situation of the region is likely to endanger stability and peace in the Maghreb. Simpson, Gerry (2000) The diffusion of sovereignty: self-determinations in the Post-Colonial Age. In: McCorquodale, Robert, (ed.) Self-Determination in International Law. Ashgate, p. 260. Hurst Hannum, “Self-Determination in the Twenty-First Century,” in Hurst Hannum and Eileen Babbitt, eds., Negotiating Self-Determination (Lanham, Md. : Lexington Books 2006), p.66.